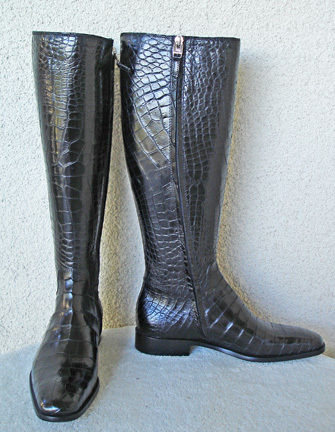 Creme-de-la-creme Lambertson Truex authentic genuine black crocodile boots with an equestrian look. 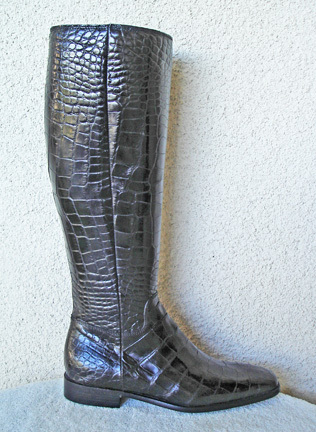 Fashioned of soft, sumptuous black croco and Made in Italy. 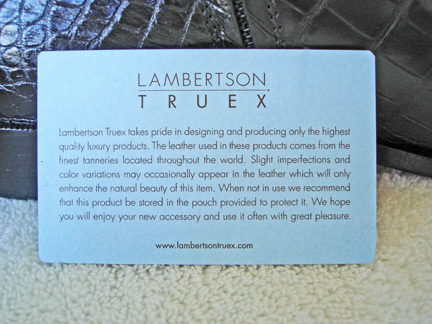 Soft lambskin leather interior throughout. 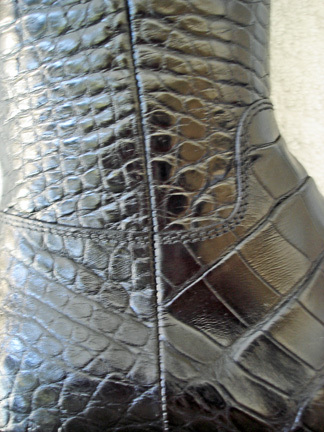 Side zipper closure with 1" heel. Shank is 16" high. 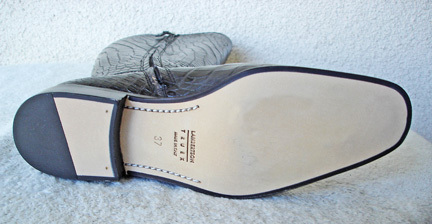 size: 7; width: approx 3 1/4"; insole approx: a little more than 10". Offered brand new w/tags. 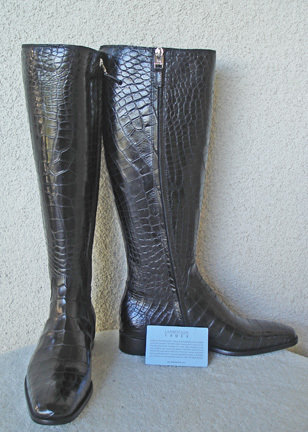 Orig retail was $4,995 plus tax.